Logistics company, Anglia Freight, are a progressive family-run business who work hard to constantly improve their services through investing in their organisation, staff and marketing potential. When they contacted us, they already had a strong brand presence with their distinct logo, but knew they now required a brand and website that was not only responsive but also encouraged potential clients to ‘get in touch’. 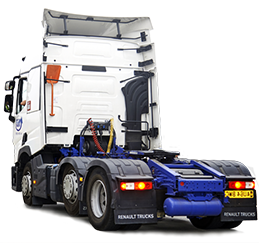 The website needed to present a Quick Quote in less than 24 hours, be able to communicate with customers, be easily maintained, fully responsive, bursting with relevant keywords and meta descriptions and compete within the East Anglian logistics market. No pressure then! 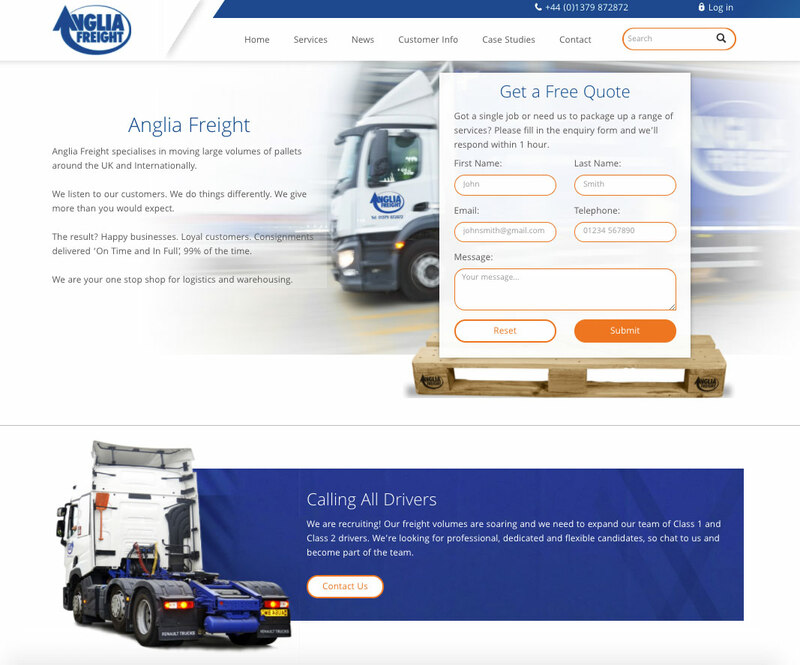 Whilst it was initially the website Anglia Freight were looking to improve, it soon became apparent their entire marketing potential necessitated an overhaul (pun intended). Before we could help with the website, the first requirement was to develop their branding – looking at everything from brochures to invoices. In a team workshop we spent time listening to their Customer Support Team, Operations Team, Sales, Finance and HR department to understand more about their business. Here we discovered their ‘why?’ and developed their company’s brand messages. These are essential elements of marketing potential and the first part of creating their brand image, long before any actual design work can be achieved. It was only after they had provided us with their stories and then developed their strategies, that we were able to develop their brand; using a clean angled look taken from the ‘A’ in their logo. Afterwards, we created a wireframe of the website so Anglia Freight could test it, ensuring everything was correct, before programming and developing the site to testing level. Linking their website to their current CRM package was hugely important. 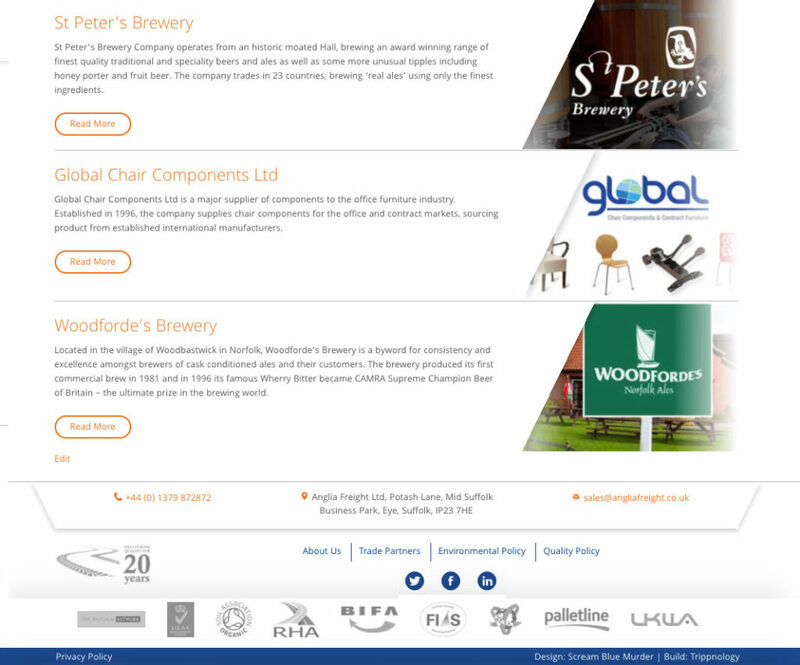 It was essential that locating potential business was core to the site’s main aims, this Call-to-Action was the most important part of their new website design, along with clear and easy-to-find information for existing customers. Lastly, we ensured ease of in-house use. It was vital they could easily maintain and update the website with regular News and Event articles in-house, not requiring our help every time a change of content was required. Taking the time to understand Anglia Freight’s business and developing our working relationship has really been the key to their successful website and marketing strategy. We can only hope to continue working with such an innovative and hardworking company for the long haul (pun intended). So should your company require a marketing make-over, drop us a line on 01379 676720.